In our Part 1 of this series, we discussed the needs assessment and quote preparation stages of the order flow and how important they are to a successful project. 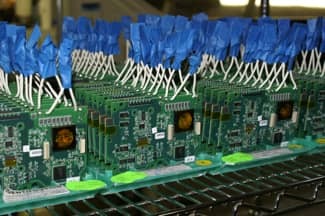 The process continues as we enter into the launch phase, which starts once an order is received for a new PCB assembly. Because the customer rarely controls the timing of their demand, the clock starts ticking immediately to get everything ready for production (and continues to tick until the shipment is received by the customer). It’s very common that multiple new products are launching at the same time. Following a streamlined process keeps everything on time and running smoothly. Quantity of boards and panelization. The quantity of the boards being ordered may have been updated and if so, the set up of the panelization may also need to change to allow the order to be processed more efficiently. These considerations are much less important with large batches but they could save considerable money on small batch work. Lead times of components from various suppliers. The lead times of the components going into the order may also have shifted (either shorter or longer) and may affect the overall timeline of the project. This is when your custom electronic job shop earns their money – by getting creative with their people and production schedule to overcome the unexpected and get the order out as close to the original due date as possible. If no changes have occurred since the proposal phase, we simply confirm that everything is still correct and move on to the next step. Review the circuit assembly in detail to assess the proper plan of attack. Schedule the first production run including machinery and labor needed to complete the order. Prepare a color-coded shop router to communicate to everyone on the shop floor whether the order has ROHS compliance requirements or is a new assembly. Make arrangements for any special packaging or shipping needs so that all’s ready to go. Review any special instructions for the order and bring up any technical questions so these can be addressed and resolved. Program any equipment needed for the project and order any required fixtures or stencils needed. Review the test plan so that adjustments can be made in advance if needed. Coordinate component part arrival to coincide with the proper time in the schedule. Serve as the communication conduit to the customer to keep them updated on the status of the order or to enlist their help in resolving an issue. Once the kickoff meeting is complete, the order is ready to go into production in its scheduled slot. In Part 3 of this series, learn more about that phase of the order flow process.